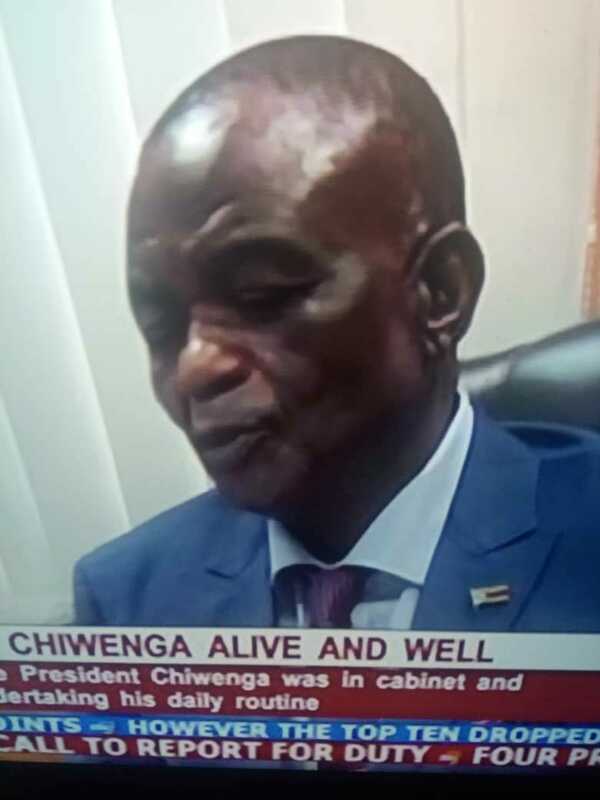 Back from emergency treatment in Cape Town, South Africa, Zimbabwe’s Vice President Constantino Chiwenga uses an appearance on state media TV to state that he is “alive and well”. Chiwenga was receiving treatment in South Africa, the second time in four months, after falling ill last week. He initially checked in at a private hospital but travelled to Cape Town for further treatment. wrong choice of words even…. Ko Nhuta iya yaanoti anechirwere chinoitisa ganda rake ritsvuke chaendepi kusviba kunge svosve mukange kudaro. Ko kuzvibvunza kuti vanhu varikumbopengereyi chaizvo. Very dilusional and out of touch with reality. You don’t give yourself life with all that money you steal from the people, God does. The spirits of those you killed are eating you from the inside its just a matter of time we will be reading about you being buried at that fake heroes acre with all the other murderers. Bet you’d be freshly planted at Heroes Acre if you had been in a Zim hospital. U will be fine in Jesus name. I command all sicknesses in u. I say out in Jesus name Amen. Dont judge anyone, let us pray for him. If ever there was a dead man walking this is he. If you don’t believe me just take a long hard look at the photographs given. Very soon there will be many false cries of rest in peace. And he well deserves such a farewell. Ndopaunofunga kuti even if you amass wealth, mari hayitenge hutano. Kana vakashaina nekuita charter private planes dzekunorapwa, tafanana. Whether you go to American, or whatever best hospitals, kana nguva yakwana makafanana neuyo ari pa Nazareth pemahara. Hanzi na Pastor Alf Lukau, ‘This man stepped on a lion’s tale’. Ane paakabata pane rukwa. And return his stolen wealth…!